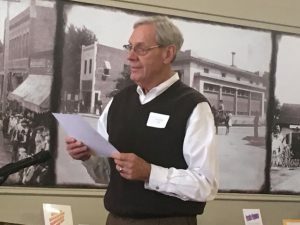 On Tuesday, September 17th, 2018 the Thomas Zvi Wilson Reading Series presented an evening of poetry with Arlin Buyert. See the Video Page for live performances. On Tuesday, February 20th The Writers Place and the Johnson County Library presented Thomas Zvi Wilson Reading Series poetry reading featuring former inmates incarcerated at Lansing Prison. 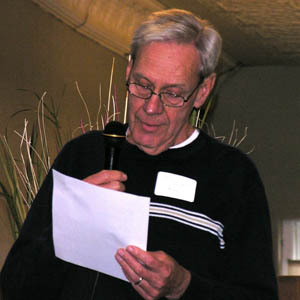 Buyert facilitated the reading. 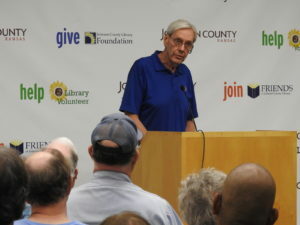 Read more from the Johnson County Library about this event. Review in the Kansas City STAR. No More! is a reflection on the senseless loss of life due to gun violence in the United States. 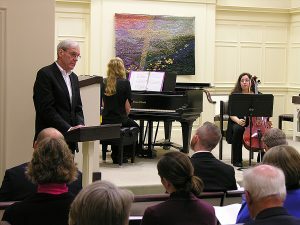 The choral parts are a setting of two ideas: the words “no more” and one line from Arlin Buyert’s poem “In the Shadow of the Bars”, which is a series of reflections on conversations the author had with inmates. To listen and view click here. jointly by The Writers Place and the Johnson County Library. 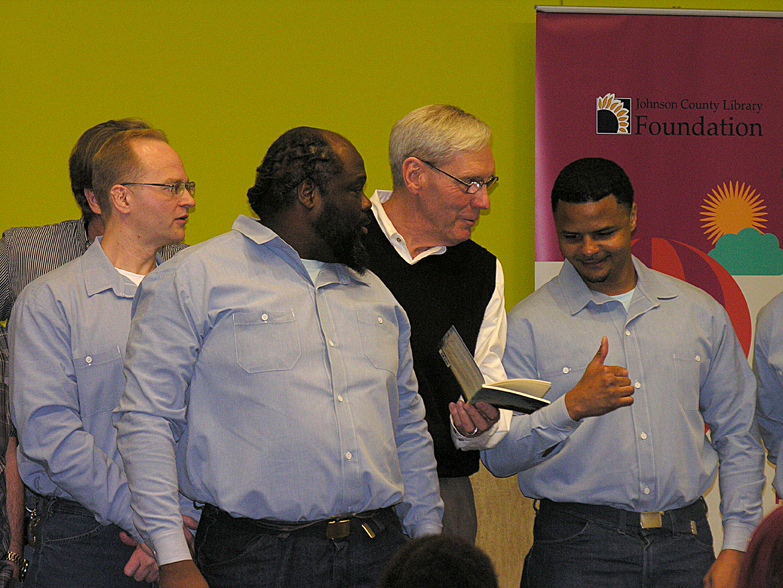 Arlin and inmates from Lansing Correctional Facility presented poems to a captivated audience. Sadness, joy and laughter were present the entire evening. A KKFI podcast of this evening's event can be listened to by clicking here. Village U of the Village Presbyterian Church will host Arlin and three former inmates to lead a discussion of mass incarceration in America. What does the Church do to help rectify this deplorable situation? The Inklings Book Store invited Arlin to read from Oh Say Can You See in Blue Springs, Missouri. 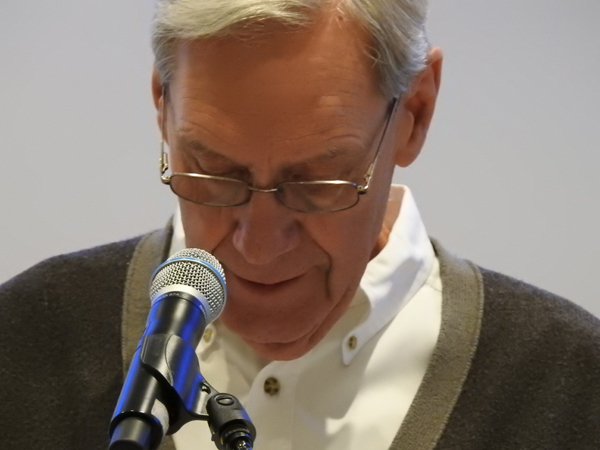 Arlin read poems from Family Photos at the Salt and Pepper Club at the Hallbrook Country Club in Leawood. 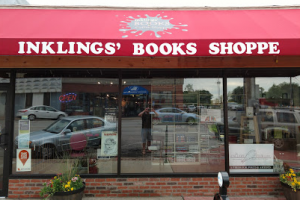 The Interurban Art House in Overland Park has agreed to host an inmate poetry reading on April 15, 2016. Four inmate poets who participate in the Arts in Prison, Inc. poetry workshops at Lansing Prison will be reading their work. In addition, three former inmate poets will also be reading their work. Please plan to come as all are invited. Arts in Prison poetry program helps inmates find freedom in writing! 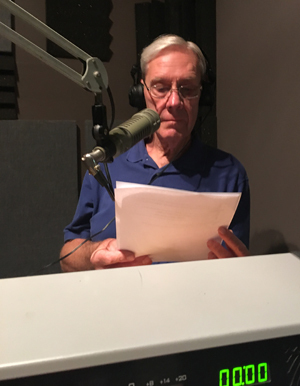 Brian Daldorph invited Arlin to share some of his poems with the inmates at the Douglas County Jail in Lawrence. Brian has been leading poetry writing sessions at the jail for several years in a program similar to the Arts in Prison program that Arlin conducts at Lansing.